Still @ the centre ? Looking for an art class? please click below on links to products displayed in categories and alphabetical order. We stock more than is here of course. 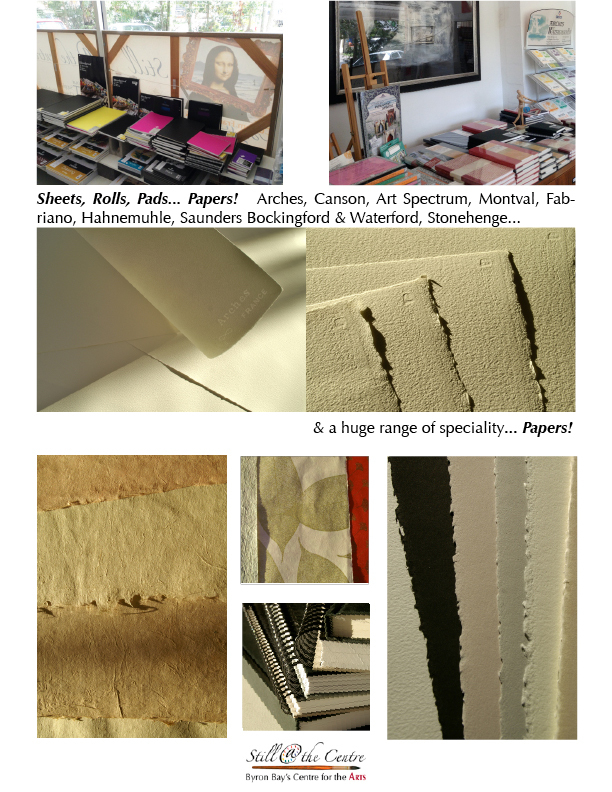 We have easels and scissors, palettes and palette knives, brush boxes and brush cleaners, etc, etc, some art books too… in short all the little extra things that make art stores such lovely places! So, the following won’t save you a visit but perhaps can help you plan your trip or offer in-depth information about the brands we have chosen to stock. PS Products’ descriptions will be followed by BB for Byron Bay / BA for Ballina or M for Mullumbimby to indicate availability in those stores. BB alone stands for available only in Byron Bay. Which acrylic paints do we stock? Which acrylic primers, grounds, gels, mediums, pastes do we stock? Which brushes do we stock? Which canvas(es) do we stock? 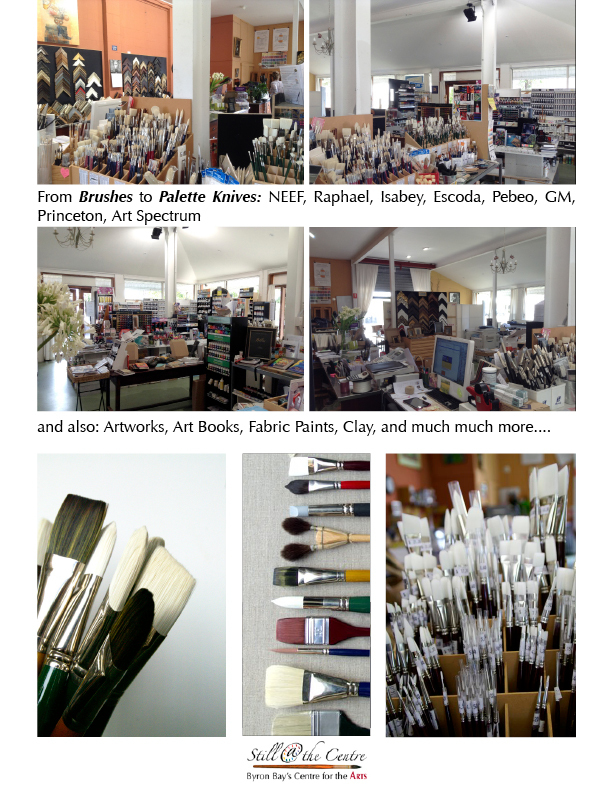 Which gouaches do we stock? Which inks do we stock? Which markers/textas do we stock? Which oil paints do we stock? Which oil primers, mediums, solvents & cleaners do we stock? Which oil sticks do we stock? Which painting panels do we stock? Which papers do we stock? Which pastels (soft & hard) do we stock? Which pastels (oil) do we stock? Which pencils (and other drawing tools) do we stock? Which pencils (colour) do we stock? Which pigments do we stock? 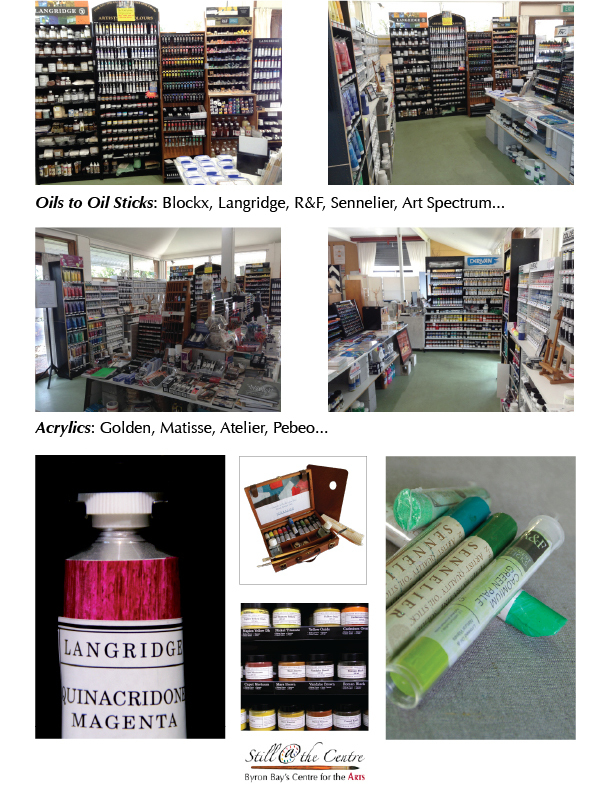 Which varnishes do we stock? 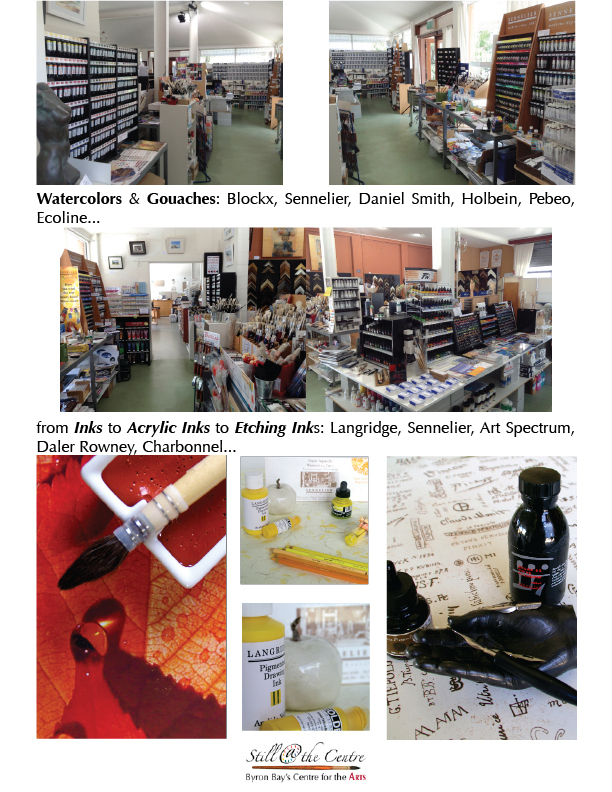 Which watercolours do we stock?